We enter 2014 with the Asian security mosaic as complicated as it’s been in a long while. The two rising regional great powers, China and India, are still rising but at least in China’s case growth is slowing. The region’s stalled great power, Japan, is making a solid effort to get its motor running again. Russia is probably still a declining power, at least as far as Asia and the Pacific are concerned, but it’s modernising its nuclear forces and playing its foreign policy cards more adroitly. Kim Jong-un’s North Korea remains a regional wild card, the country’s nuclear program accelerating even as its domestic politics become more brutal and less certain. The region’s second-tier powers—and here we could reasonably count South Korea, Indonesia, Australia, Thailand, the Philippines and Vietnam—add their own complexities to the mix. And that’s before we even get to the United States. We’re approaching the one-year anniversary of the beginning of President Obama’s second term. And, speaking plainly, I don’t think it has started well. The noted Asia hands of his first administration—people like Kurt Campbell and Jim Steinberg—have left. True, Joe Biden (the Vice President) and Susan Rice (the National Security Adviser) have both delivered big set-piece speeches on Asia. And the rebalance remains the core of US Asia policy—even though Asian audiences are still trying to decide what it actually means. Meanwhile two US decisions about the Middle East—the handling of the Syrian chemical-weapons issue  and the Iranian nuclear agreement —have both muddied the waters in US relations with Asia. The first showed a hesitancy in US willingness to use force; the second a US willingness (actually a P5+1 willingness) to accept a quasi-nuclear status for Tehran. Both decisions have generated ripples in our own region. That’s not to suggest the administration hasn’t sent other signals as well: twice it has reached for the big stick in Asia, flying strategic bombers over South Korea in the wake of the third North Korean test, and through the recently-declared Chinese Air Defence Identification Zone. 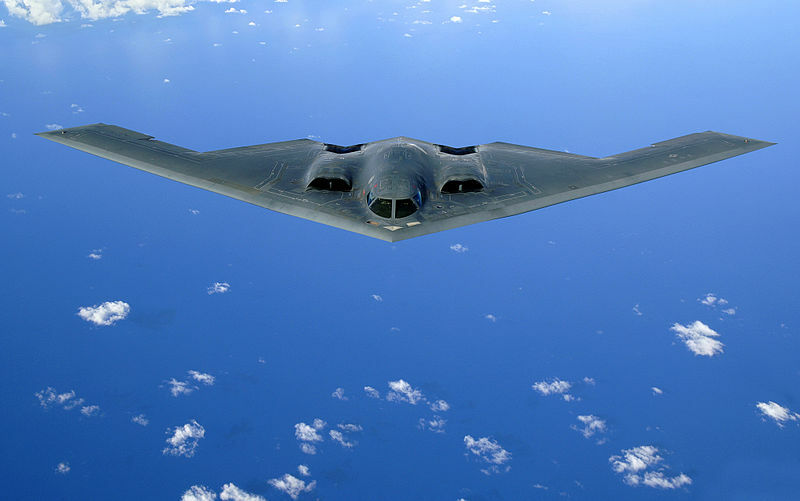 Strategic bombers are meant to send strategic messages, both to foe and friend alike. But the messages have been mixed, not least because of the distracting priorities in the Middle East. Some analysts even argued that the bombers’ messages were meant for the Middle Eastern audience just as much as they were meant for an Asian one. It’s less obvious that the strategic bombers exercised much suasion over their first-level targets. There’s no evidence, for example, that Pyongyang slowed its nuclear program in the aftermath of the American B-2 and B-52 flights; and not much evidence that China has tempered its approach to territorial claims and conventional power projection in Asia. Indeed, both Pyongyang and Beijing might actually have been encouraged by the train of events in the Middle East to push the envelope in Asia. For all those reasons, the first year of Obama’s second term can’t be ranked an unmitigated success. The administration’s approach to Asia has lost some of its traction with the passing of its key Asian figures. I recall hearing Jim Steinberg a few years ago answer, in his usual pithy style, a question about whether the US would make room for China in Asia. While the question invited a protracted answer, Steinberg delivered a one-liner: ‘Yes’, he replied, ‘but not in the geographic sense.’ The answer, at first glance puzzling, is in fact an elegant statement of the US position in Asia: it’s prepared to make room in the Asian order for a China that steps up to a growing regional role, but it isn’t prepared to step back from the Western Pacific where a range of its allies live. Nor is it prepared to abandon the order it has built in the wider Asia Pacific—an order that is simultaneously stable, liberal and prosperous. In a recent piece for the Carnegie Endowment for International Peace , Douglas Paal, an old Asia-hand from the Reagan and Bush 1 era, suggested that Chinese policy currently turns on a contradiction: on the one hand a desire to advocate ‘win-win’ outcomes in its relations with other Asian states, but on the other a desire to press its own territorial claims against rival claimants. In Northeast Asia strategic relationships are prickly. In Southeast Asia the strategic temper isn’t so sharp, but the legacy of the 2012 contest between China and the Philippines over Scarborough Reef is one where Southeast Asian states are wary of future Chinese coercion. Currently the falling out between Indonesia and ourselves is probably the issue of single greatest importance to us. It seems unlikely we can solve the issue of intelligence while it remains on the front pages of newspapers in both countries, and Edward Snowden might well have other tidbits to release in order to keep the issue front and centre. The political timetable in Indonesia in 2014 (parliamentary elections are due in April and a presidential election in July) is scarcely conducive to a judicious corralling of the issue. As John Le Carré once wrote, spying is justified only by its outcome. That outcome isn’t, as a recent Foreign Affairs article argues, merely one of advancing self-interest—intelligence is a tool that advances foreign and security policy on a broad front, and others benefit from it as well as us. Overall then, a more complex mosaic lies in front of us, and this post scarcely scratches the surface of a deeply-layered strategic environment. Australia, like other regional players, has its work cut out in 2014.